Start with a classic roll by laying in seaweed strips first, then rice. Or make rolls inside out with rice first, and then seaweed. Place filling (fruit, avocado, vegetables, fish, shrimp, etc. Set the bar into the slot in the middle of the roll. This will start your roll on one side! Grasp the pull tab and gently pull up and around the anchor bar to finish the roll. 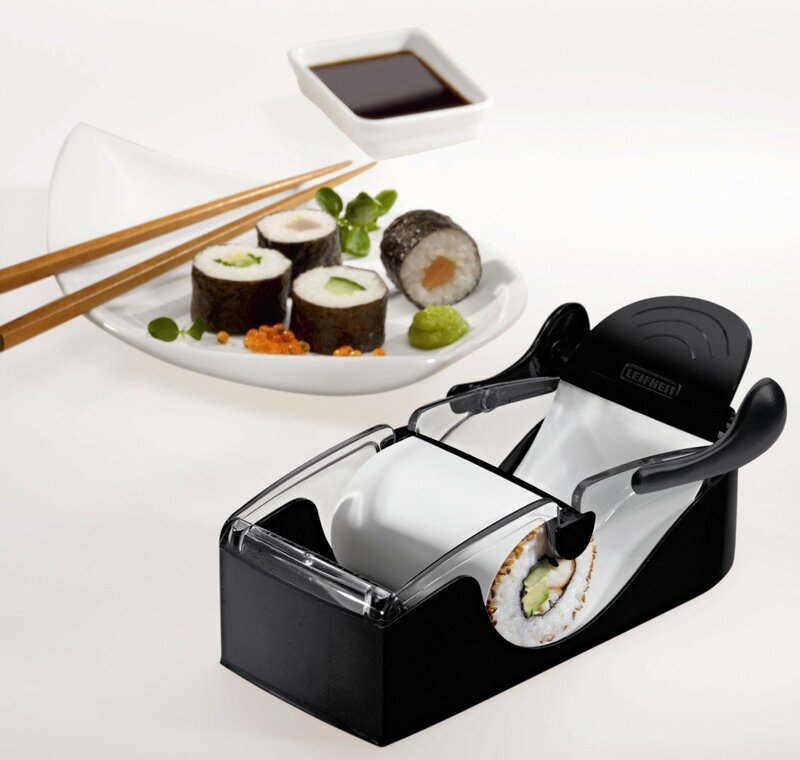 Give the rice a moment to stick and–Presto–a Perfect Sushi Roll!